As West Terre Haute was building itself up in the first decade of the 20th century it was briefly home to a man dedicated to building his own body. Louis Rudolph Yanske was the son of Austrian-Bohemian immigrants Emmanuel and Fransceska (Fanny) Borovy Yanske. Emmanuel, a tailor, migrated to the United States in 1867. Fanny followed the next year. Young Louis was born in Vigo County in 1875. Louis was a precocious child who early on showed startling capabilities and determination. Early on he decided to dedicate himself to building his small body. 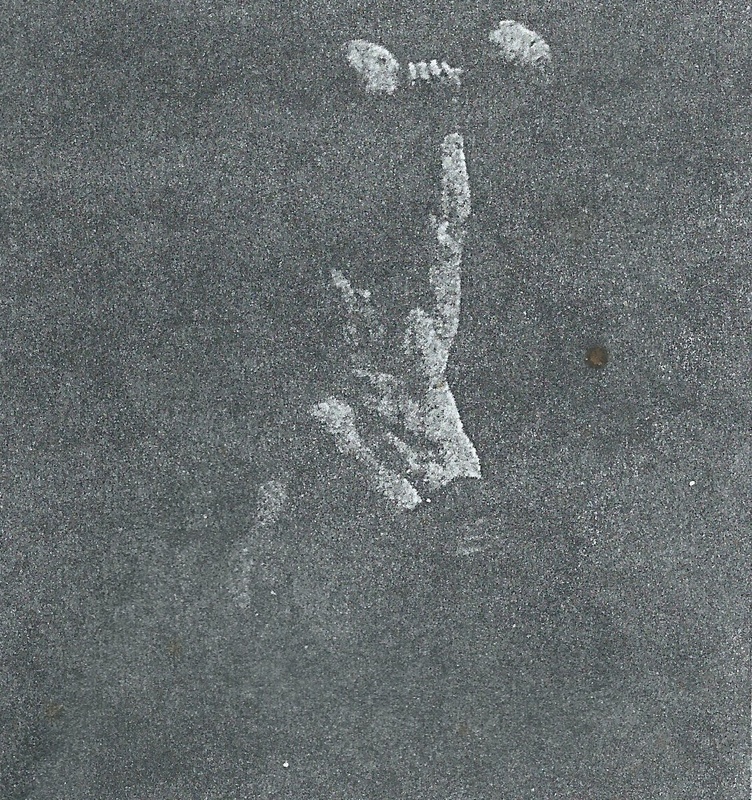 By the age of eight he was able to lift over 200 pounds, nearly 100 pounds more than his own body weight. Within ten years he had pushed himself so hard that increased to 600 pounds, even though he was only 5’4” and weighed only 114 pounds. “I hereby challenge any man in the city of Terre Haute to a strength contest, weight not barred, at any place within the city limits. The contest to consist of (1) 2-hand grip lift; (2) hand grip lift; (3) 3-finger lift; (4) 1-finger lift; (5) 1-hand raise over head; (6) 2-hand raise over head; (7) bending nails, etc., with hands unassisted; (8) bending iron or soft steel rods over bare forearm; (9) tearing playing cards; (10) pulling new horseshoe apart; (11) money bending; (12) shouldering with one hand; (13) holding out with one hand; (14) swinging overhead with one hand. The gate receipts to be donated to charity. I herewith deposit $20 with the sporting editor of the Gazette. The challenge must be accepted within one week. Details to be arranged later. Yansky’s challenge was accepted by Clark—partially. Clark said he would accept part of the tests of strength, but not all them. Yansky would have done of that. He responded that he was already giving the 200 pound Clark a weight advantage and his motto was “all or none” and re-issued the original challenge. Clark demurred. Two weeks later Yansky headed to California to perform at a fair, but before he left he reminded everyone he was still willing to face-off with Clark and Prox, with the wagers to go to Union and St. Anthony hospitals. Interestingly, the day Yansky departed, a small man from Brooklyn, NY arrived in Terre Haute with another sort of challenge of strength. H. Mack weighed only 110 pounds but he proclaimed himself a man of a remarkable power, no man could lift him off his feet into the air! His secret power of gravity was that not one, not two, not even three men could lift him off the earth. As if that was not enough, he could transmit his special power to any object he touched. Planting himself firmly on the floor of Keith’s saloon on the west end of Wabash Avenue he took on all challengers. Among them was the saloonkeeper Keith, a strapping 200 pounder and another Hautean man of strength, Charles Denning. They could not move him. Mack announced he would remain in town for several more days, and perhaps Steve Clark might try his hands at lifting him. From whence did this special power emanate? The Gazette posited that perhaps Mack’s power regulated his weight and controlled his pulse. A more likely explanation can be found in the fact that Mack “places his fingers on the lifters neck; that seemingly roots him to the floor.” But the lifters claimed it in no way lessened their strength. 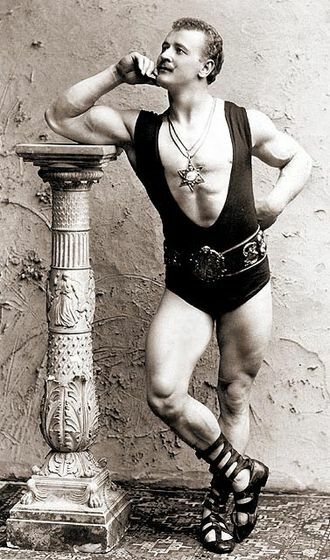 Mack had departed town before Yansky returned, so the strongman did not have a chance to test his strength against the diminutive Brooklyn-ite. As his trip to California showed, Yansky’s “job” required a lot of travel. After nearly a decade of touring, Yansky decided to step away from his performing career and start a business career. By 1906 he was living in West Terre Haute. He was also a man possessed of a sharp, inventive mind. 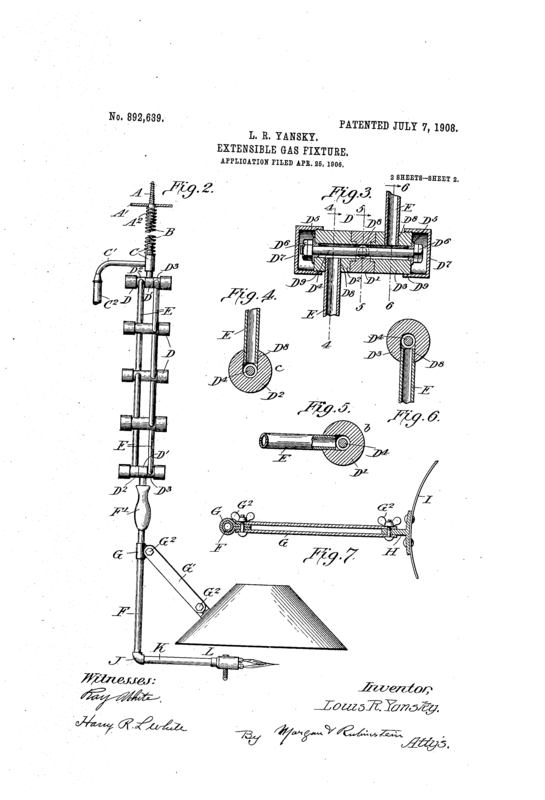 In 1907 he announced he had received a patent on an extension device to be attached to a gas line to produce heat and light. The device was attached to the ceiling, but was adjustable so that it could be pulled down to anywhere when in use. He said he was looking for a company to mass produce his invention. That did not happen. It was to be just one of several patents he would receive. But he did start the business that was very successful. In 1907 he formed the Louis R. Yansky Reporting System, a type of early credit bureau. He issued credit reports on individuals and businesses to merchants wishing to know if potential customers were a credit risk. The agency also served as bill collectors. One can imagine the look on a late-payee when the strong man showed up at his door seeking to collect. The agency grew into a thriving, important firm for Terre Haute area businesses. Not all went smoothly in his personal life though. 1908 Yansky sued Crawfordsville farmer Samuel Hutton for $100.000.00 for alienation of his wife’s affection. The court decided that he was wronged, but to that extent and ordered that the damages be settled for $5,000.00. Evidently his wife’s affection were not totally alienated, as it would be a dozen more years before he filed for divorce. Though he seldom “performed,” Yansky continued to devote himself to fitness. In 1949 the 74 year old strongman recounted his daily routine to a reporter from the Saturday Spectator. He rose at 4:45 every morning to begin his two hour exercise regimen. The two hours were filled with 100 chinups, 70 pushups, weight lifting, and running 100 yards in 11 seconds, he said. It was all followed by a nice long hot bath. Still weighing only 130 pounds he credited his long life and health to “clean living, regular hours, exercise, and proper food.” No alcohol, stimulants like coffee or tea, or tobacco ever passed his lips. His diet consisted of fresh fruit, and fruit juices and “lots of milk.” He kept a daily record of his exercise. Dammit, will you people make up your minds? Depending on how one viewed the size of Macksville, it was called either a hamlet or a village. Those were the designations of unincorporated areas. Bering unincorporated meant that the village or hamlet had little control over the laws it operated under, the taxes or fees the citizens, and how its lands used or organized. For Macksville it meant that Vigo county or Terre Haute exerted some type of control over its taxes, law enforcement and land use. For example, the area that is now McIlroy Avenue and runs from the National Avenue to Riggy and east to the levee was a gravel pit for the Terre Haute and if an individual or city of Terre Haute wanted to dig up other areas in Macksville not already platted it could do so. That is just one of the reasons that some of Macksville’s leading citizens began to seek incorporation as a town in the 1880s. Some were worried that Macksville was just another town to most, one without a geographic or economic identity (there was another Macksville in Randolph County, Indiana). These were same folks pushing for not only incorporation, but a name change to West Terre Haute. This, they believed, would firmly “locate” Macksville in peoples mind and associate it with the robust Terre Haute economy. They hoped it would help encourage businesses to locate in Macksville. Still others wanted more control of the life in the village. Most sources state that Macksville was incorporated as West Terre Haute in either 1888 or 1892. I do not believe that is entirely true, at least not “officially.” Here is why. There were still those in Macksville not happy with this change of name or status. They worried it might mean an increase in their taxes. As so often happens, some just were not comfortable with change or did not want another layer of government over their lives. Discontent boiled over as many viewed the new town charter as unworkable. Another meeting was called to “wind up” the affairs of “West Terre Haute.” From the results of the meeting it appears that only the “antis” appeared. It was resolved that all bills owed by the town be paid, and any surplus be “divided pro rata among those entitled to it.” It did not say who those people were. The vote was unanimous. So things were a muddle. In January, 1890 a meeting was again called to settle once and for all the village/town’s status. But the required 2/3 of citizens were not present. Still another. Same result. Seeming things were in limbo. That setback did not mean the incorporation boosters went quietly away in the sleepy village. In 1892 they again petitioned the commissioners to incorporate Macksville as West Terre Haute. But this time the board refused the petition due to inaccuracies in the descriptions of what land should be part of the new town. Charter proponents appealed the decision to the Vigo Superior court. In September the judge held that the descriptions should be accepted with the consent of qualified voters. An election was set for October. Evidently, it was voted down. Haute putting on long pants.” He decided to cross the bridge and find out. pay $250.00 city saloon license. That is good for T. H. but rough on West T. H.
Ah, much then became clear. 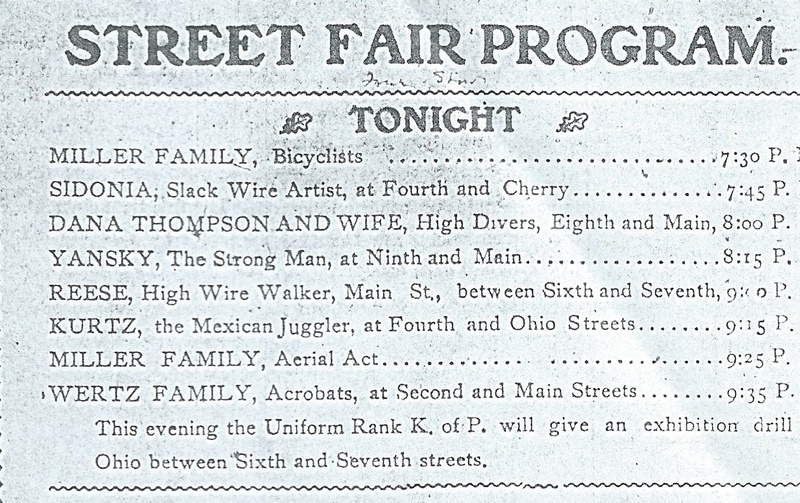 So, Macksville officially became West Terre Haute in 1894. But one more thing. It would take five more years before the US postal department officially recognized the name and West Terre Haute replaced Macksville as the officialostal address.